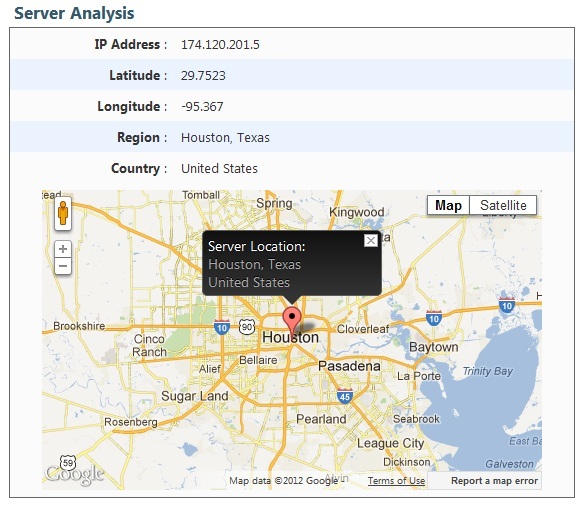 New feature: Server analysis with location and map added. We have added some new stats for you to feast on. You can now check where your website is being hosted alongwith a map to show the exact location. 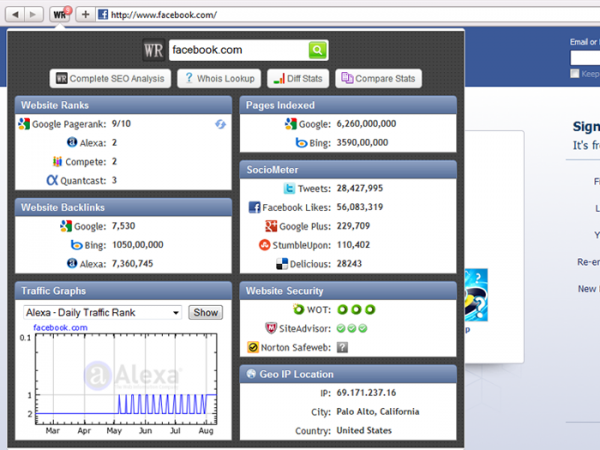 Press the update button on your stats page to start showing the new feature, we have enabled this for all our users. You will also see a new blue pin in the sidebar we launched yesterday to browse your server analysis stats directly. From today onwards users visiting our website will be able to see the fast navigation bar, which can be seen on the left side of your stats page. Fast Navigation enables you to jump through the stats of your websites to the ones that you deem pertinent. The navigation bar remains fixed so that you can jump between any stats of your page at any time, making browsing through your stats easier and more intuitive. 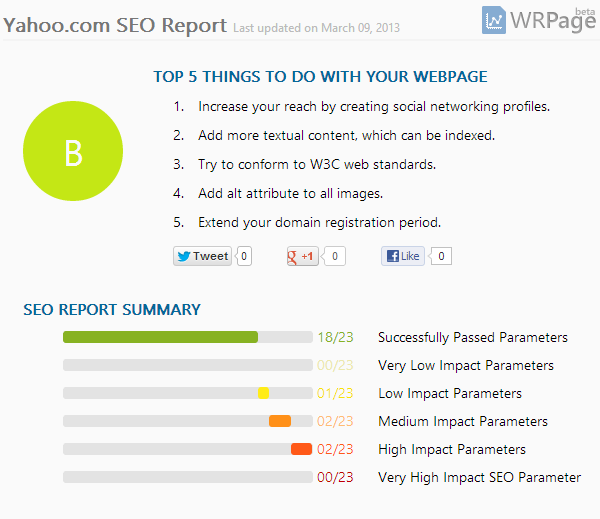 Introducing Sociometer for evaluating your social presence. We are adding SocioMeter to your stats pages to give you an understanding into the popularity of your website on various social networks. Social relevance has become an important metric in modern day SEO. Facebook likes, tweets, diggs among other parameters show how much your links are being shared, you can consider it a modern day version of backlinks but these affect your search relevance to a lesser extent. Since people tend to spend much of their time on these social networks, increasing your social influence will make for faster expansion of your web presence. 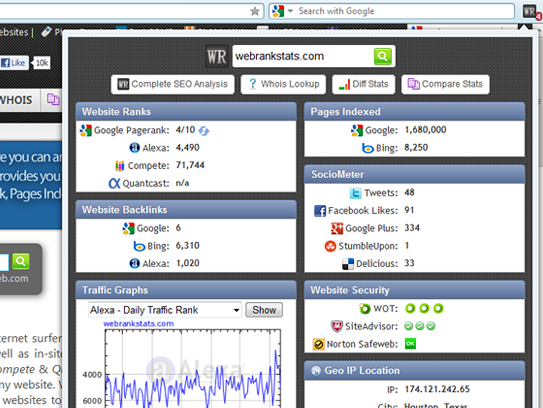 Introducing the PageRank widget from WebRankStats for your website. Today, we are introducing the Google PageRank widget for your website. 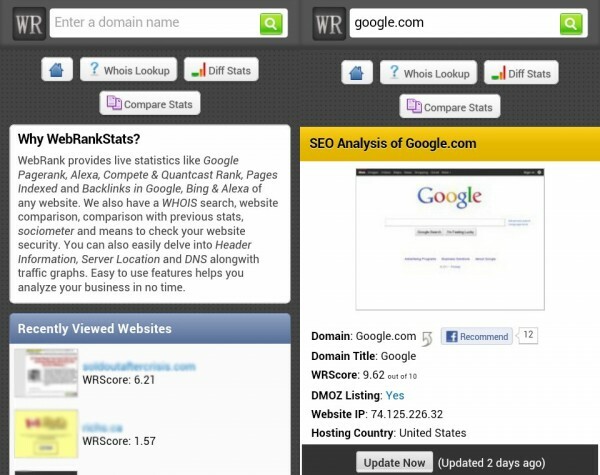 Use this widget to display Google Pagerank on your website. You have two different options to select from, and choose the one that matches your website best. 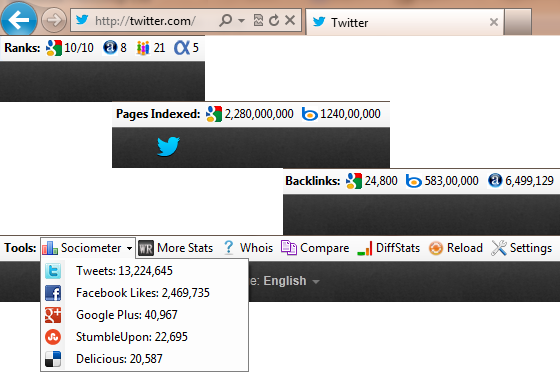 To get your widget, click on the link “Get Widget” on your website stats page.